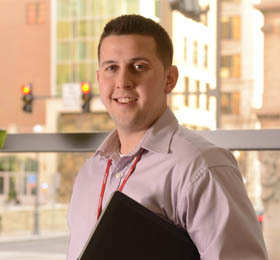 In an effort to continually assess and strengthen our programs, we ask graduates for feedback about their experiences with curriculum, course work, faculty interaction and how earning an MBA or a Master of Science in health care administration and management degree from Point Park University has helped them advance in their careers. "I continued at Point Park for my MBA degree concentrating in management, which I completed while also working full time. The program provided evening classes that fit perfectly with my schedule. I knew Point Park professors had real-life experience in their fields, which offered a richness they brought to the classroom." 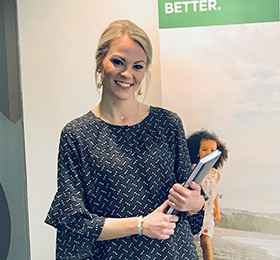 "Earning my MBA with a concentration in health systems management at Point Park University provided the perfect balance of managerial and financial concepts with practical applications in the health care arena." "My M.S. in health care administration and management degree not only bridged the obvious industry experience gap I once had, but also offered a scholarly competitive advantage specific to the monumental legislative implementation of the Affordable Care Act." "I was in the MBA program from May 2016 until April 2018 and was promoted twice during that time in 2016 and 2017. After graduation, I was promoted again several months later in 2018 to a manager role and feel a lot of my drive and new mindset came from getting my MBA." "My undergrad experience in business management was so positive, I didn’t hesitate to come back for my MBA degree. I’m fortunate that such an innovative company chose Pittsburgh for their self-driving headquarters. 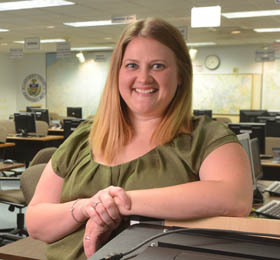 I’m also very thankful for my Point Park education, which applies to my job on a daily basis." "The people make the University special. The best part of my experience was forming friendships that, nearly 20 years later, still exist today. I also enjoyed being in the heart of downtown Pittsburgh and having the opportunity to appreciate the beauty and vibrancy of our city." 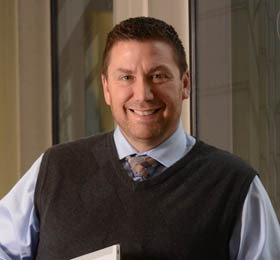 "After doing further research, I discovered Point Park University's MBA with its concentration option in health systems management and it was exactly what I was looking for in a program." 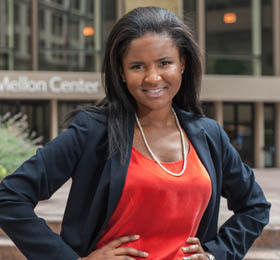 "I made the decision to apply for the fall 2015 MBA cohort and it turned out to be one of the best decisions of my life. The curriculum was immensely interesting, complex and challenging." "Point Park's MBA classes provided a well-rounded education that enabled me to navigate in a modern economy and secure positions that I enjoy. From banking to robotics, I was able to apply the knowledge and the skills that I learned during the program." 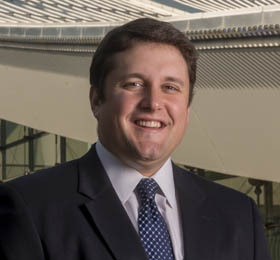 "The MBA program had an important impact on my career. I was working as a designer for the Museum when I decided to go back to school to get an MBA concentrated in sports, arts and entertainment management because I wanted to learn more about the business side of museums and nonprofits." "Being a city girl and someone who enjoys the arts, ending up in the heart of Downtown Pittsburgh was ideal. I also enjoyed the small class sizes and familiar atmosphere on campus, as well as Point Park’s great international community." "I was asked quite often, 'How will you use your MBA after you graduate?' I can tell you that I began using in my work and personal life what I learned not just after I graduated — but from my very first MBA class." 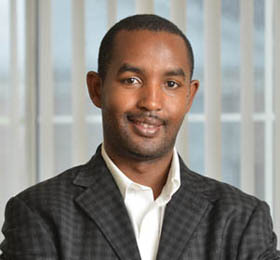 "My MBA classes have helped me to better advise entrepreneurs at the PHDC business incubator in the areas of business development, economics, marketing, finance, cross-cultural business and accounting." "Most importantly, having an MBA degree has helped me to discover and develop more potential in myself. I now have more to offer to my employer and to the community I serve." "The experiences I had and lessons I learned at Point Park are a cornerstone for me both personally and professionally." 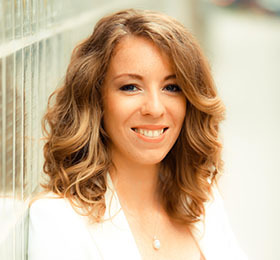 "Having an MBA has helped to set me apart from other communications professionals. As technology progresses, it is becoming increasingly important for marketers and communication professionals to be able to understand and show the value of their work with concrete numbers." "I have always been interested in technology, so the management information systems concentration was a perfect fit for me. The classes gave me a much better understanding of business and technology as a whole. "My aspiration was to gear my career profile towards management while integrating it with a concentration on software analysis and testing. An MBA degree concentrating in management information systems was perfectly suited to build a foundation for this." "The journey was rewarding. I saw my family grow, earned promotions at work and had a graduate degree in hand with a second baby on the way. My MBA is more than just a degree. It has given me the confidence to know that I can do anything and will never stop working hard. 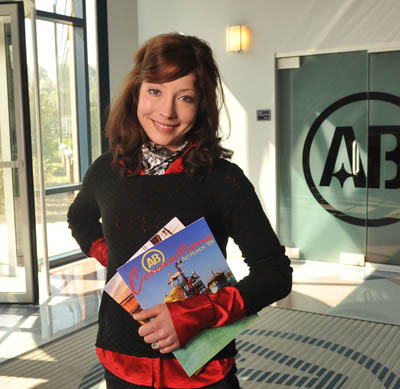 "The sports, arts and entertainment management concentration of the M.B.A program is dynamic — its versatility is what largely inspired me to return to school to receive a graduate degree." "By far, my fondest memories center around the people I met. So many courses involved working together in small groups — I got to know the other students in my cohort well and made a few lasting friendships. While it’s great to connect with others who share your passions, the network one builds can also be advantageous." 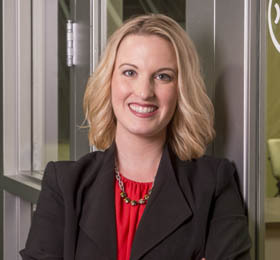 "My MBA degree has helped advance my career by providing me with additional knowledge and new skills such as strategic problem solving, research and analysis, leadership and networking." "My favorite memories are the bonds and relationships I built with my peers and professors. I learned so much about people's backgrounds and education and was able to truly network and carry those relationships with me after graduate school." "I’m not sure I could possibly capture the true scope of how my education from Point Park allowed me to transform a job into a fulfilling and dynamic career. The application of my knowledge gained in the business management and MBA programs allowed me to take a technically-driven industry to levels only seen in large global companies." 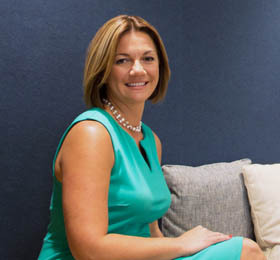 "As a whole, I could never have experienced and achieved the amazing things throughout my career and my life without my business foundation from my dear alma mater, Point Park. Words could never express my gratitude and I will forever be indebted." 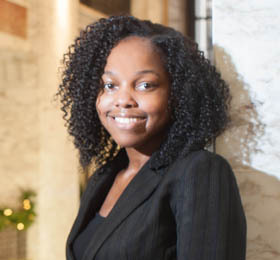 "I knew Point Park was the university for me once I met the professors and saw how accommodating the staff was. Also, the classes worked with my full-time work schedule. That was also a big factor!" 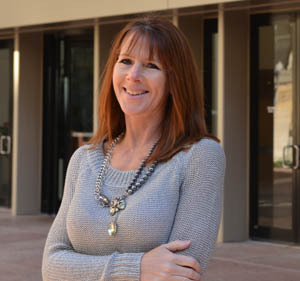 "Within the next 10 years, I would like to be on my way to an executive director position. I believe working for the Allegheny Conference and having my MBA makes this 100 percent obtainable." 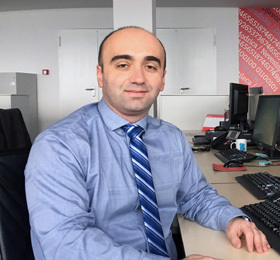 "The business analytics courses in the MBA program gave me in-depth knowledge of how to combine SQL databases information with data mining analytics in order to analyze data at hand. 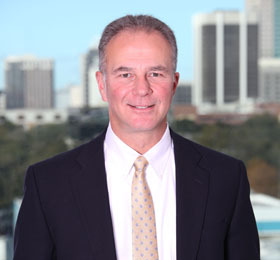 Dr. Mark Voortman gave me the confidence I needed to succeed." 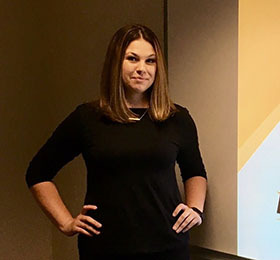 "Upon graduating, a special talent acquisition agent from Duquesne Light Company scouted me via LinkedIn and helped me find a position that would best compliment my business analytics skill set." 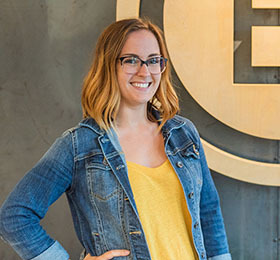 "The MBA program at Point Park is built around an understanding of the modern workforce - which, after years of my own experience at one of Pittsburgh's top advertising agencies, was exactly the program I was looking for. I was able to work and go to school, surrounded by an incredible array of professors - many who themselves work in top leadership positions." "If you find yourself considering an MBA like I was, I'll be the first to push you over the edge. It will not only drive you forward in the short term, but truly for your entire professional lifetime." 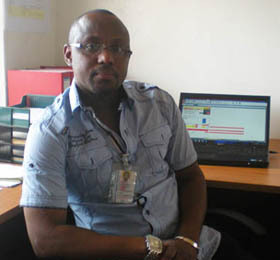 "I have always wanted to pursue an MBA since entering the workforce as a civil engineer in 1985. I intended to complete this task much earlier in my career, and was delighted at the possibility of finally achieving an MBA through Point Park University's on-site corporate program at GAI Consultants." "Both as EVP/COO and president, you are involved in all aspects of the company's administrative teams. You must interact and provide strategic direction and leadership to the company's human resources, legal, marketing, accounting and general business groups … Point Park's MBA classes provided me with an outstanding overview for each one of these administrative areas." "I liked that the diversity of the graduate student body brought different perspectives and philosophies to the classroom … Point Park's Downtown location and evening class schedules are ideal for those of us who work in professional jobs during the daytime." "Through my MBA classes, I learned not only to navigate the complexity of the federal tax codes, applications and enforcements, but also how to unlock the mysteries of the tax codes for individuals and businesses." "My MBA degree was the differentiator on my resume when I started looking for my second full-time job after college. Before I had that credential, it was hard to set myself apart from the ever-growing number of college graduates applying for the same jobs as me." "I chose the management information systems concentration with the goal of setting myself apart. 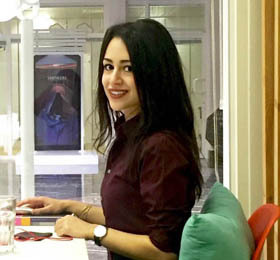 Technical skills are in high demand and there is still a huge disparity in the number of women pursuing technology fields, so I sought to stand out from the crowd." 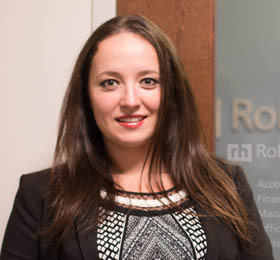 "I've always wanted to work in the finance world so I decided to pursue an MBA degree. 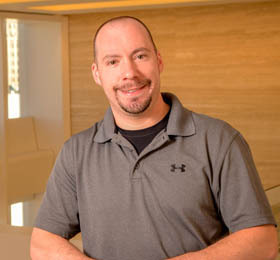 Point Park's MBA program was the perfect opportunity for me and it helped me tremendously in getting hired by BNY Mellon." 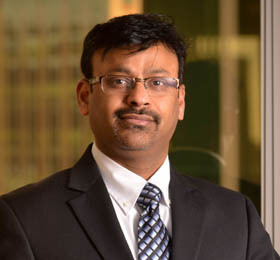 "The international faculty at Point Park really understand the picture of the global finance industry and are able to transfer that knowledge to the students. I had a great experience at Point Park University. The University will always have a special place in my heart. I really admire the faculty and students there." "My MBA degree gave me an edge, helped me get noticed and fast-tracked my career from a manager to a director to a VP to an RVP. The extensive workload of an MBA program broadened my perspective outside my own industry. It taught me to think strategically and to be fluent in the language of business outside of my industry." "Also, there's nothing like working full time while getting your degree to help make you a better manager of time, projects, priorities and stress! These are all skills and competencies that continue to serve me in my career." 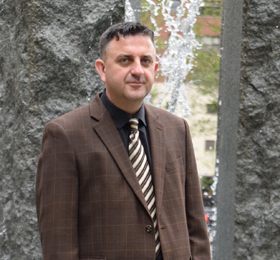 "After researching MBA programs throughout the United States, I was lucky enough to meet with Dr. Dimitris Kraniou, who explained to me all the advantages that the MBA program at Point Park University brings. He discussed some of the topics that MBA students at Point Park study and I immediately knew that it was the program I would love to enter." "Also, the MBA program's international business concentration offers a variety of classes, is taught by experienced professors and designed to prepare students for international careers." "I chose Point Park University because of its outstanding faculty, small class sizes, emphasis on a collaborative learning environment and flexible hours. The University's Downtown location was a perfect fit for my schedule. It was very easy for me to get to school from work and then get home afterwards." "All the work I have put into obtaining my MBA has helped augment the knowledge I have obtained since I entered the business world. 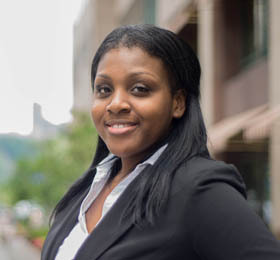 I am happy with all that I have learned throughout my professional career, but I would not be in the position I am in now without an MBA"
"2013 MBA alumna Quiana Perciavalle recommended Point Park to me. I also chose Point Park because it offered affordable tuition and is located in Downtown Pittsburgh, which makes it easy to access internship and fellowship opportunities. 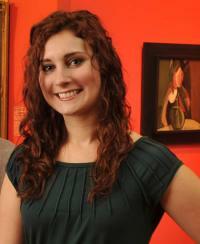 Additionally, the expertise of Point Park's professors played a role in my decision." 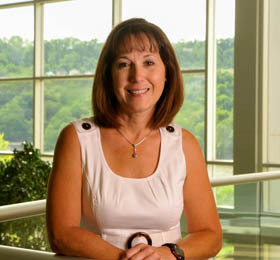 "Many of the classes I took at Point Park help me on a daily basis at UPMC Health Plan. In my position as an operations analyst, I meet with members of the business, sales and marketing teams every day. 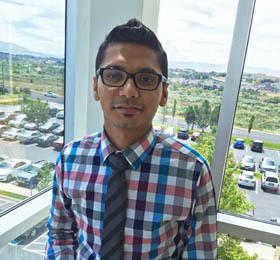 In these meetings I am able to apply a variety of skills I learned during my M.B.A program." "While I had many great memories during my time at Point Park, I would have to say taking all of the health care concentration classes were my favorite. I am able to use the skills I learned in those classes on a daily basis." 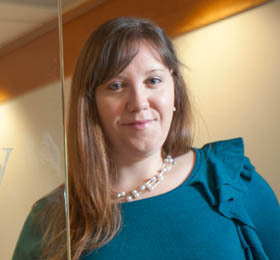 "The primary reason I chose Point Park University for graduate school was because the MBA program offered a concentration in health systems management. I'm very happy working in the health care industry, and I felt that adding an MBA with that particular concentration would help me grow towards my career goals." "The MBA classes have helped me with my career because they were taught by successful professionals with real-world experience in relatable fields. These professors passed along their knowledge to me so that I could apply it to my own career." "I loved the concept of the sports, arts and entertainment management concentration within the MBA program, and the fact that it's so unique. The idea that you can learn about not just one, but three different (and very cool) industries in one program, really drew me to Point Park for graduate school." 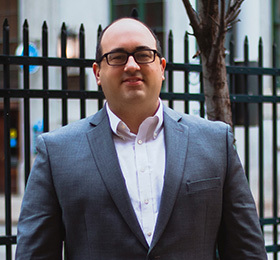 "Also, reading about the types of courses the MBA program offered, how it was right in the heart of Downtown Pittsburgh and that you'd be taking classes from professors who are still active in the industry, made choosing Point Park a no brainer." "I have to do a lot of data analysis and problem solving for HACP so classes like Quantitative Methods and Corporate Finance were essential. Also, the Accounting for Managers class has been a major key in my success as director of finance for Invest in Her, an initiative that encourages women entrepreneurship by showcasing the amazing talent of female entrepreneurs of Southwestern Pennsylvania." "In order to advance within the leadership of the Division of Hematology and Cellular Therapy at Allegheny Health Network, it was critical to bring together both the clinical and business sides of our program. 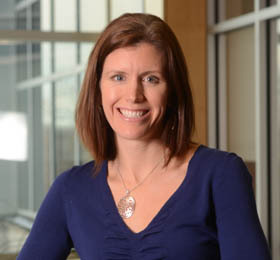 Earning my MBA allowed me the opportunity to enhance my knowledge of the business of health care." "I returned to school to study for my MBA after many years outside of the academic arena. One professor in particular, Professor Archish Maharaja, was a constant source of encouragement and instruction." "Even before graduating, I recognized immediate rewards from the MBA classes I was taking at Point Park University. Being an employee of one of the largest global financial institutions presents an obvious case for needing to understand the global financial climate." "The MBA professors at Point Park University were consistent in emphasizing to students to be aware of global events and to understand the impact of those events on us, both in our personal lives and as employees of our various organizations." "I pursued an MBA because I felt it would help me with learning the business aspect of engineering. My engineering degree taught me a lot about problem solving and other aspects of engineering, but it only gave me a glimpse of the business end surrounding the field." 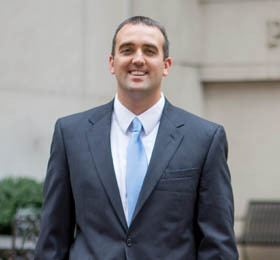 "Point Park's MBA program allowed me to understand how business works through the different course topics. Each course allowed me to view my company and others through a different light." 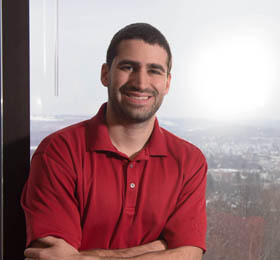 "I decided to come back to Point Park for my MBA degree, thanks to Dr. Kraniou and Dr. Breslove. 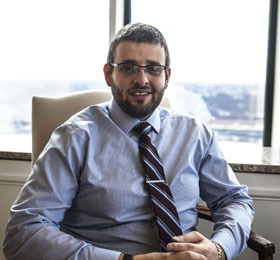 I went to a graduate open house and learned more about the MBA program from Dr. Kraniou. Also, I took a sample grad class with Dr. Breslove before enrolling and was blown away." "I was lucky to have class with such a diverse body of students from China, Europe and Latin America. The fact that we all had quite different backgrounds, life experiences and cultural values made class even more intriguing." 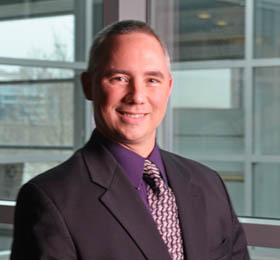 "My M.B.A degree allowed me to transform theory into practice for my career. The majority of my classes required me to work in a group, which helped me gain team-building skills for this position and develop and foster relationships with my client solutioning team." 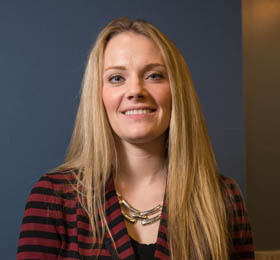 "My favorite MBA class was Health Care Policy Analysis because the class required open discussions and views regarding health policies and regulations. All of the case studies in the course gave me the ability to synthesize, evaluate and apply health concepts from a political standpoint." 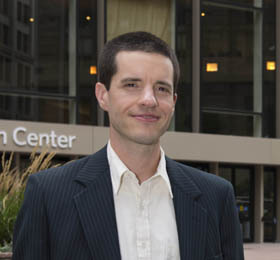 "One of the main factors that made me choose Point Park for graduate school was convenience and flexibility. 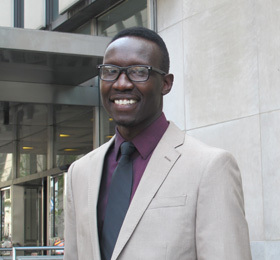 I was working Downtown at BNY Mellon when I decided to go back to school and knew I wanted to stay in that area and needed the program to fit my life." "My favorite Point Park memories are currently being made. I like seeing the headlines in the newspapers and on social media about Point Park doing well, making a difference in the community and continuing to grow. 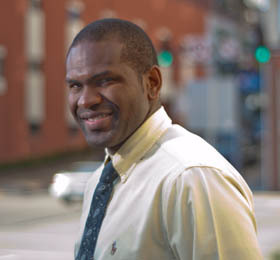 It gives me a great sense of pride that I can say I got my MBA from Point Park." 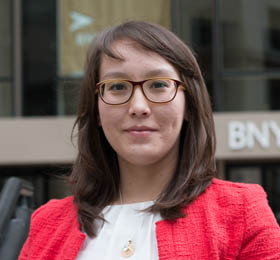 "For graduate school, I chose Point Park because I was working at BNY Mellon as an investment support analyst at the time, so it was convenient to take night classes after work. The MBA program at Point Park is a great option for full-time employees looking to expand their education." 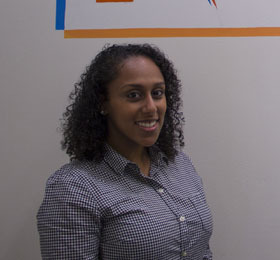 "My professors were very knowledgeable professionals who taught based on their work experiences. Their one-on-one teaching style was hands on and helpful to me throughout my college career." "After researching Pittsburgh, I discovered Point Park and loved the University's diversity and small class sizes. I also really liked the cultural environment of Pittsburgh." "My business management and MBA in global administration and management degrees taught me how to analyze businesses and markets and how to study the indirect effect economics, politics and global conditions can have on organizations. The vast amount of research I conducted for different courses at Point Park have helped me a lot in my current role." "Pittsburgh happened to be a sister city of my hometown in Russia. Among all the universities in Pittsburgh, I chose Point Park because I loved its thriving campus in the heart of Downtown and its student body, which has so much diversity and culture." "The MBA program at Point Park is amazing so be sure to take advantage of everything it has to offer. For a truly rich experience, seize every opportunity to participate in campus events, attend conferences, volunteer your time and engage in discussion with your classmates and professors." "Point Park was a great fit to earn an MBA because they offer a conveniently located campus and a flexible program. It was important for me to be able to maintain a full-time job while attending classes at Point Park, and the weeknight courses and fast track schedule gave me the opportunity to do so." 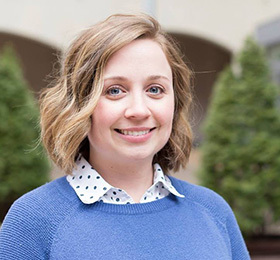 "The real-life approach that Point Park faculty used within their classes was really beneficial in preparing me for my current position at IABC." "Location and the times that classes were offered were convenient with my working schedule. 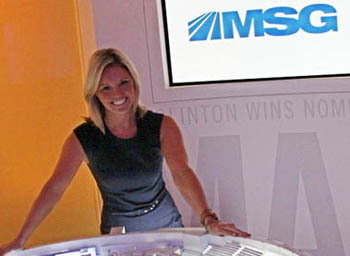 I was intrigued by the sports, arts and entertainment management concentration in the MBA program, too. Also, knowing that I could do a part-time schedule and be finished in five semesters was a huge plus!" "I really enjoyed all of the concentration classes because most of my professors had work experience in various fields. It was nice to see that what we were learning applied to real work-life scenarios." "My wife, Jennifer Toth, (who is also a Point Park MBA alumna and business analyst for PNC Bank) and I both have offices Downtown. We considered other universities but what attracted us to Point Park were the small class sizes, flexibility and the intimate nature of the MBA program." "What is most valuable about an MBA degree is the opportunity for advancement. An M.B.A degree from Point Park is a good investment for professionals who may not be seeing growth potential in their current position." "Sports have always been a passion of mine. I knew that I wanted to work in the sports world in some capacity. The sports, arts and entertainment management concentration allowed me to gain as much knowledge in all areas of the business without limiting myself. 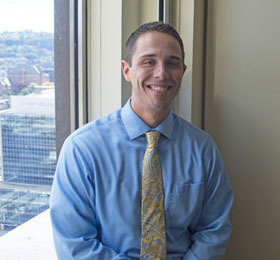 "The Point Park MBA program gave me the chance to refocus myself and gave me the skills I needed to advance my career. It truly prepared me for business challenges and opened me up to be more creative and think more clearly." 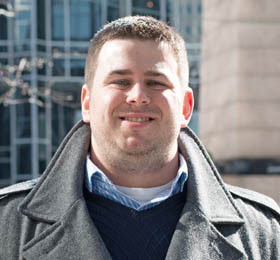 "Point Park really offered me the most value in comparison with other MBA programs that I considered." "As a foreign student, I was looking for a school that offered interesting programs, had a great reputation, a convenient location, smaller size classes and most importantly, cultural diversity. Point Park met all my requirements." 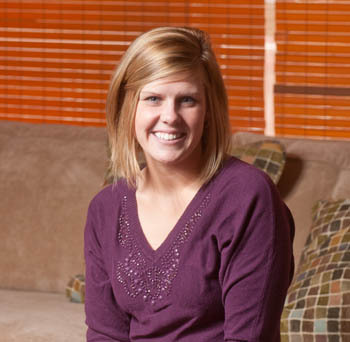 "I know that choosing Point Park was one of the greatest decisions I have ever made." "Small class sizes that allow students to interact and delve into deep discussions on subject matters and industry-experienced professors were all huge factors for me in choosing Point Park University. The Downtown Pittsburgh location also played a huge role, since I was able to use the library after work." 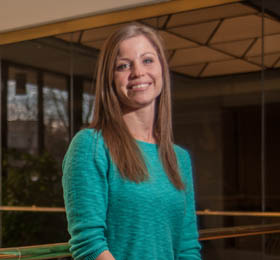 "Choosing Point Park University was one of the better decisions I made for my career. Classes were an extension of work in the sense that you got out of them knowledge and technical skills you could immediately apply to your position." 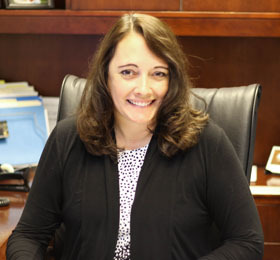 Senior Director of Quality, GAI Consultants, Inc.
"The MBA classes gave me a different perspective on business. Throughout my career, I've been focused on optimizing operations and process development, mainly the technical side of business. What the MBA classes helped me do is better understand the marketing, accounting and organizational systems sides of business." "Point Park and GAI should be commended for developing this on-site model, which enables working professionals to achieve their MBA in an environment that fits into everyone's schedule in a two-year period." 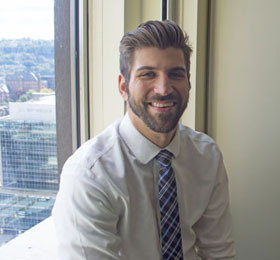 "I wanted to continue living in the city so I actively searched for a graduate school in Downtown Pittsburgh that would help me grow as a professional and further prepare me for the business world. Point Park University stood out to me because of its personalized, small classes and reputable MBA program." "Overall, I also want to say a big thank you to Point Park University for giving me such a well-rounded education and an unforgettable college experience." "I decided to pursue an MBA degree to make myself well-rounded, as it becomes very important as I move up in my career. I also wanted to broaden my viewpoint to make better technology and business decisions." "The professors all had deep knowledge in the subjects they were teaching especially Dr. Kraniou, Dr. Sidky, Dr. Maharaja and Dr. Haley. They were 100 percent dedicated and wanted to make sure the students understood the material and were able to apply it to their real lives." "Pittsburgh was always a close place to visit with my family and I have always thought it was a beautiful city with plenty to do. I came across Point Park University and really liked the idea of the dual program and the ability to earn both degrees while working full time." "I had a lot of very inspiring and memorable professors in the M.A. and MBA program. They love what they do and it shows. Their main goal is your success." 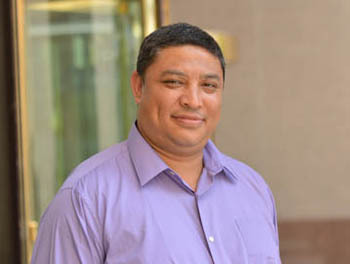 Special Project Engineer and Project Business Analyst, Guralp Crane and Machine Construction Industry and Trade Inc.
"My experiences as an MBA student were incredible. The study environment at Point Park is brilliant and the library staff members are very kind in helping students do their research." "Pittsburgh is one of the most affordable and accommodating places for international students to live and work. The city transportation operates very well and people from Pittsburgh are so nice and friendly." 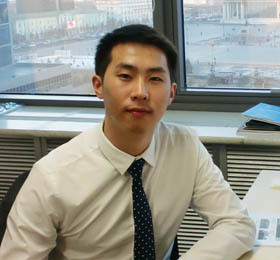 "The MBA program provided me with the knowledge and skills to land a position as a market risk analyst at one of the leading banks in Mongolia. 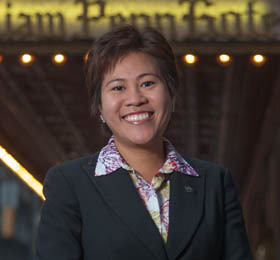 Point Park's distinguished professors with real-world experience broadened my horizons and business perspectives in unique ways." 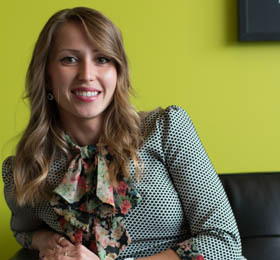 "Earning an MBA from Point Park was not easy but the rewards are so worth the effort. Not only did it transform my skill sets but it also provided me the opportunity to realize my potential in various areas of business." 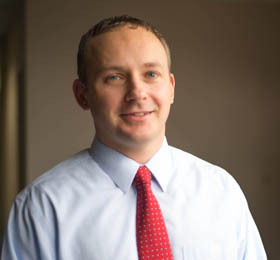 "Point Park University offered what I was looking for in an MBA program. The campus is located in Downtown Pittsburgh which links it to the business community, diverse culture and a lively college experience." "Also, the small class sizes, knowledgeable faculty and friendly campus atmosphere allow for personal attention and the opportunity to connect with other international students." "Point Park staff reached out to me quickly and were very polite, receptive and made the process of enrolling simple. They also promised an environment that would not interrupt full-time employment. The veteran coordinator did a really good job of making me feel welcome and assisting with all of my concerns." "I graduated with a completely different way of thinking about organizational structure and a confidence that allowed to me to be a part of larger projects and encourage more positive change and growth." "The knowledge I gained in Point Park's MBA program was precisely what I needed to become a more knowledgeable and active participant in the high-level discussions at my organization." 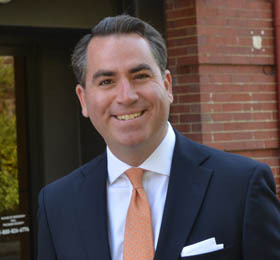 "I made life-long friends and important business connections at Point Park. One of my favorite memories was a course I took focusing on game theory with Dr. Bill Breslove. 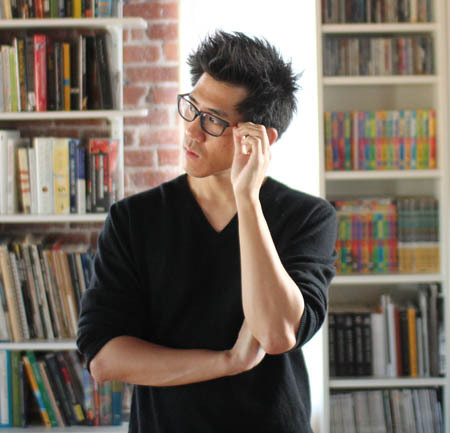 In addition to engaging my imagination on all of the potential possibilities in my current career path, he invited us to visualize ourselves as entrepreneurs." 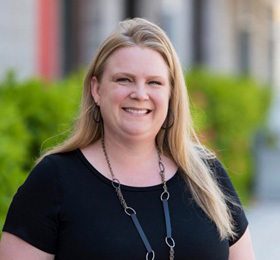 "Completing my MBA degree truly allowed me to transition into management … My MBA classes helped me to understand organizational culture, learn how to create strategic plans, manage data and to develop and market new services." "I loved the MBA program's cohort model. You really got to know your classmates. I met some great people with very diverse skill sets and work experience." "My favorite classes were accounting for managers, corporate finance, global environment of business and managerial economics. I liked that the professors had jobs in the fields they were teaching. What we learned in class was based on their real-world experiences." 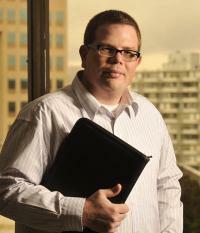 "My MBA degree has made a positive difference in my career and really helped me mature. At times, having an advanced degree can be worth more than experience. It may take time but getting your education does pay off." 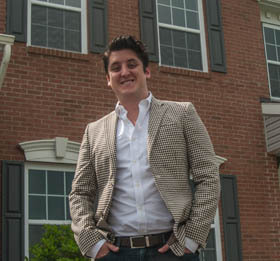 "The main reason I chose Point Park was for the delivery formats offered. I loved that Point Park recognized that not all management is the same and presented classes that piqued my interest and encouraged me to grow." "Having my MBA degree has equipped me with the skills I need to perform my daily duties and has prepared me for challenges that may arise. It has also helped me communicate effectively with the numerous committees and staff members I deal with on a daily basis." 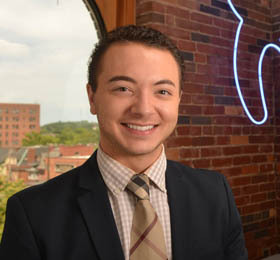 "My favorite part of my graduate school experience was having the opportunity to interact regularly with fellow professionals working in the Pittsburgh area. I loved the fact that my education was supplemented with real-life examples from my professors and fellow classmates." "I thoroughly enjoyed my time at Point Park University, and I would highly recommend it to anyone looking for a real-world MBA program that encourages collaboration and idea sharing among a diverse group of professionals!" "The MBA program helped me understand the business side of things, which has allowed me to become a more effective member of the management team." "For anyone considering Point Park, I definitely say go for it. It's fantastic. The MBA professors were amazing. The courses were challenging but not impossible." "Education has always been important to my family and me. Point Park was a wonderful fit for my situation. It dovetailed beautifully with my work schedule and home life. 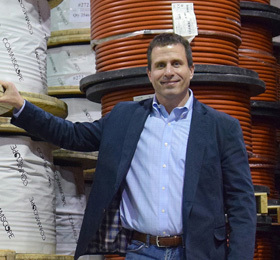 I'm grateful to work for a company that values education and helped me achieve this goal." "Point Park offered what I was looking for in an MBA program including small class sizes, professors with industry knowledge and a working student body who can address what's going on in today's workforce and economy." 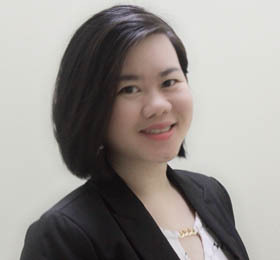 "The SAEM concentration within the MBA program fit with my career goals in event planning and management. I believed this specific degree would bolster my business management skills and augment my education and experience in the hospitality field." "The location was ideal and really easy to get to after work - and I liked that it was an urban campus that was 'up and coming.' It was also a good value for me. I didn't have tuition reimbursement from my employer at that time, so I was paying for the degree on my own." 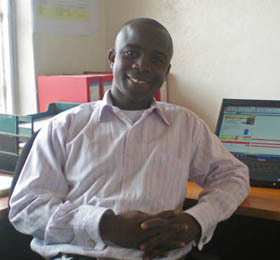 "The management and finance courses in particular prepared me for challenges that I face on a daily basis. Without an MBA from Point Park, I may not have experienced the professional growth I've had over the past several years." "I thoroughly enjoyed the various experiences that the professors brought to the classroom each time. They had fantastic work experience and diverse backgrounds that helped promote thought and discussion in every class." "When it came time to choose graduate schools, I kept coming back to Point Park - particularly because of its great location and faculty who are flexible when working with students who have full-time jobs. Syllabuses are designed upon the notion that many people do work while going to school. The faculty want to see everyone truly succeed." "Through my initial research about graduate programs, I found out that Point Park offers perhaps the widest and the most flexible educational opportunities, which are very hard to find anywhere else." "Having a degree from Point Park and the skill sets I gained learning from outstanding faculty tremendously helped me in landing a job at Morgan Stanley. Studying for an MBA in international business transformed my skill sets and gave me knowledge about a broad range of industries and organizations." 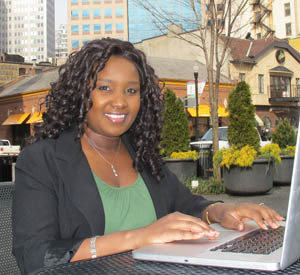 "The MBA program at Point Park University was truly an exceptional experience. I think joining this program was one of the best decisions I made. Studying in such a diverse and international environment, making new friends and learning from some of the BEST teachers were all part of the 'package.'" "The fact that the professors have excellent backgrounds in their field of study was really empowering and made the classroom experiences very productive." "The combination of the M.A. in journalism and mass communication and the MBA created a very unique degree as it combines practical business theory with the means to communicate those ideas. These skills are especially important now that new communication methods are emerging everyday." "Marketers today are being asked to have a broader range of skills and insights than in the past, and as the marketing landscape continues to evolve my M.A./MBA gives me that competitive advantage." 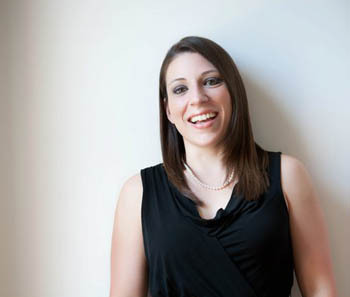 "My MBA has already started to benefit me - and my work! Taking an academic approach to real-life problems has given me a new perspective on our daily operations." "If you're considering an MBA, stop thinking and just do it! I actually worked full time and had my first baby while enrolled in the program. The course work was challenging but manageable. Point Park really understands the needs of the adult learner - the faculty and staff were always immediately available, and the course work was always directly focused on enhancing our growth as business professionals." 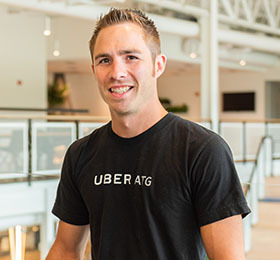 "With the MBA, I can better help customers solve their big problems. I understand capital vs. operational budgets and amortization, which impact how companies make buying decisions." 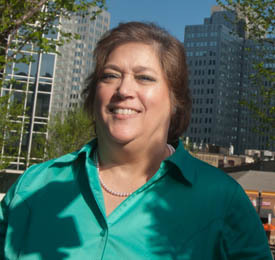 "One of the things I loved about Point Park is that it's very diverse. I learned as much from my classmates as I did from my instructors. At least 30 percent of my classmates in every class were from other countries." "The MBA program challenged me to remain up to date on world events, which is essential to my position and career. Managing budgets, strategizing ROI and cultivating relationships with organizations and individuals in multiple countries are essential skills I learned in the program." "I really enjoyed meeting classmates with similar interests and goals and interacting with professors who are truly interested in what they are guiding you to learn. 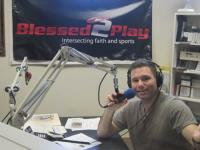 I met lifelong friends, including my husband, in the program!" Business Systems Analyst, Management Science Associates, Inc.
"I really believe that continuing your education - no matter what path you go down - is very important. Stay connected and be in-the-know about your specific industry. Go the extra mile to keep yourself educated and up-to-date on the latest information in your field." "I truly had a lot of support at Point Park. My professors really worked with me and went above and beyond. They were very helpful, encouraging and allowed me to bounce ideas off of them, showing me the pros and cons." "Point Park's location in Downtown Pittsburgh was a big factor in my decision as well as the small sizes of the classes. I experienced good one-on-one attention from my MBA professors at Point Park." "In both of my positions, I constantly deal with strategic planning and how to think and work as a team to achieve goals. The knowledge I acquired through the MBA program at Point Park University has been a great tool." 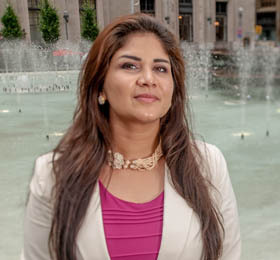 "The University's challenging MBA program, the situation of the campus in the heart of Downtown Pittsburgh, the quality of the courses delivered and the commitment shown by the professors and staff drew me to Point Park." 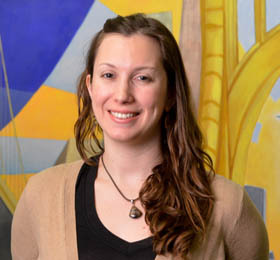 "The MBA program helped me learn how to deal with issues and problem solve. It improved my view of the real business world and how issues that corporations face can be solved. Also, Point Park's environment of students, teachers, staff and professors were key ingredients that contributed to reaching my goals." "I chose Point Park for two main reasons, which were the University's location in Downtown Pittsburgh and the International Student Services department." 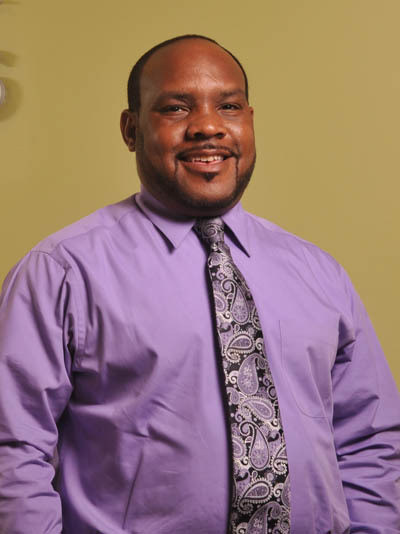 "I have fond memories from Point Park University, thanks to the faculty, staff and students. It's hard to choose just one memory because every moment I lived there was sensational and unforgettable. Overall, my favorite memories are my encounters with the MBA faculty." "An MBA was a natural choice for me since I earned my bachelor's degree in business administration. 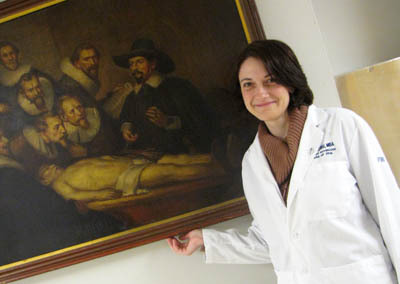 It was a great fit to enhance what I learned in my undergrad classes." 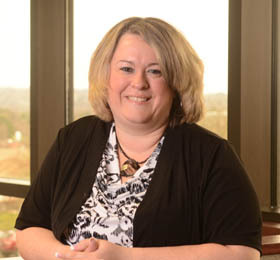 "I really enjoyed all of the MBA classes at Point Park. The small class sizes allowed for personal attention from the professors, who were always available when questions arose. Also, the diversity of classmates was another great contribution to my overall learning experience." "I enjoyed multiple activities Point Park offered for international students. Also, since I was in the MBA program at the height of the recession, I had the opportunity to learn a lot about global business and how interconnected financial institutions are." "I intend to be an executive. I'm determined to reach that goal. For me, it's not just about the monetary benefits but also about corporate social responsibility. I want to be the type of executive who gives back to society." Financial Consultant, PNC Financial Services Group, Inc.
"My MBA classes have given me the confidence and ability to move up in the workforce. Also, I've learned how to be a better employee and team player. This is a very good program, especially for people who want to go back to school while working." 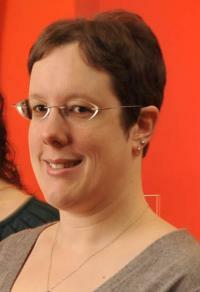 "The MBA program is very diverse. It is taught by true international business professors like Dr. Kraniou from Greece, Dr. Sidky from Afghanistan and Dr. Maharaja from India. Many of the professors in Point Park's MBA program have lived in other countries and have seen how business operates around the world." "In particular, the courses I took in sales and macroeconomics at Point Park helped me to truly understand how innovation in medical technology can impact the world's population." "If given the choice all over again, I wouldn't hesitate to choose Point Park. My opinion about the University, its faculty, student population and overall experience remains extremely high! There is a lot of positive momentum right now for Point Park and it is an exciting place to be moving forward." "After holding various positions in the pharmacy and health insurance arenas, I decided I wanted to take on more of a leadership role within a growing organization. The process to obtaining my MBA provided me with the necessary tools needed to help me successfully obtain a leadership role and continue to grow." "As a working adult, the program allowed me to go to class at my own pace, have the flexibility for a work-life balance and gave me the tools needed to succeed." "I landed a graduate assistantship which gave me the opportunity to go straight through and earn my MBA degree. It was great to get both degrees completed while I was still young and had my youthful energy. I also feel earning two degrees better prepared me for my career." 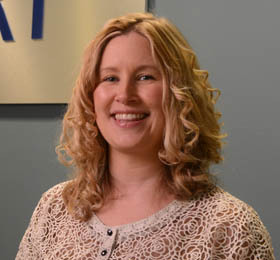 "I was glad I got my MBA degree early in my career and now I can add my experience on top of it. Earning an MBA degree will make you a great candidate for jobs and will set you apart from other applicants in the market." 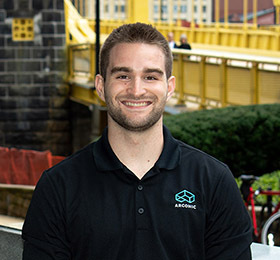 "Highmark's involvement with the Pittsburgh Downtown Partnership and encouragement of continuing education through its tuition reimbursement program was a significant influence on me pursuing my education." "Other key factors for choosing Point Park were the convenience of walking a few short blocks to classes, accessibility to the library, bookstore, professors and University activities and having the comfort of knowing that all Point Park buildings are staffed with security guards to ensure student safety in and around the buildings." "I chose Point Park for the urban campus, convenient evening and weekend class schedules, and the small class sizes." 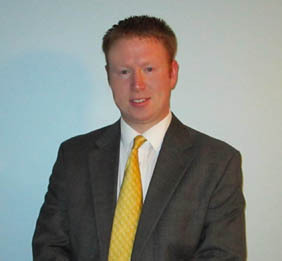 "I really enjoyed earning my MBA degree from Point Park University. I was able to learn tremendously from all the professors who work in the fields they teach. As well, I made great connections and learned from the experiences of my fellow classmates. It has truly made me an improved professional." 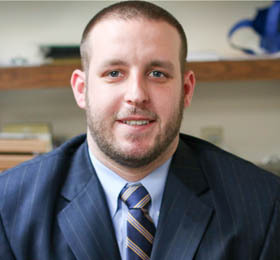 "Having researched a number of schools, Point Park had a number of advantages. The location in an urban setting combined with the small class sizes made the school the most attractive." 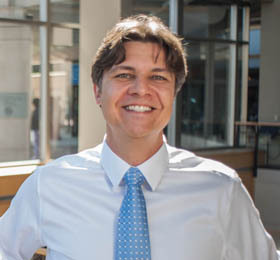 "The majority of my MBA classes gave me the opportunity to work with others in a group to produce research with a particular focus on quantitative analysis. This has been of great help to me over the past year." 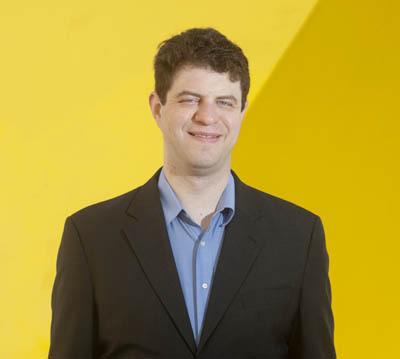 "With an MBA, I could move into more of an operations role rather than a clinical one. By choosing a concentration in international business, I diversified my portfolio enough to be marketable in health care and other industries with national or multinational corporations." "The professors from the program challenge you to work hard, to think outside of the box and offer real-world scenarios. They prepare you for the tasks you will face in business. Without them, I would not be where I am today." "As an MBA candidate, I chose Point Park to learn the basics of business management and to get a refined understanding of how a successful business should operate." 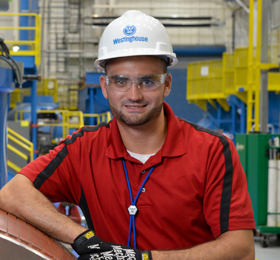 "Westinghouse afforded me the opportunity to complete my MBA, which was a goal I had since joining the business. Now, my career goal is to be successful at my new position on the external side of the house so that I can one day be a leader in my field." 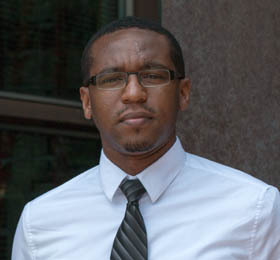 "The international business concentration was the main reason I chose to stay on with Point Park to earn my MBA degree. I also liked that Point Park offered small classes sizes and the chance to have a one-on-one focus from the professors." "I loved the MBA program because there were so many international students and students working in managerial positions. We could all share our experiences and learn from each other, which was very practical and beneficial." 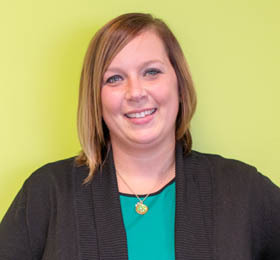 Marketing Manager, Greiner Bio-One North America, Inc.
"I know that my current employer would not have given me the opportunity to have the job I have now had I not earned a graduate degree. A prerequisite of this job was to have a master's degree so it certainly opened doors for me in my career field." "I would love to take the opportunity to sincerely thank all of the professors and employees of Point Park who helped me along the way. My success was due to many people who took a risk and helped a young person build her skills and resume in the process." 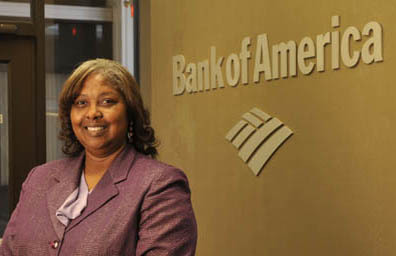 "I manage a large team at Bank of New York Mellon, many of whom were in school to earn MBA degrees. I knew earning an MBA degree would be beneficial to me and would make me both a better manager and role model. I always want to make sure I am setting a good example for my sons." 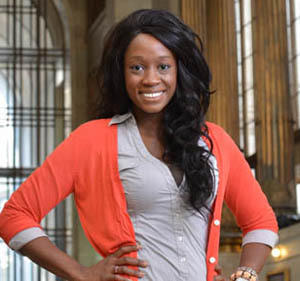 "Point Park has helped me to come out of my shell. Before grad school, I was nervous to speak in front of a group. My MBA classes helped me to break down those nerves and get over that fear." 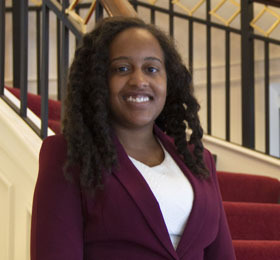 "Politics and government are highly competitive fields and having an advanced degree has made me a more attractive job candidate for employers. Also, my MBA degree gives me an added dimension when addressing community issues. I not only understand the residents' perspective, but I'm also able to see how that same decision can be used to positively impact the business community." "Point Park University is an amazing asset to Pittsburgh and I'm very proud to be a graduate of the program." "Point Park was affordable, conveniently located in Downtown Pittsburgh, and its MBA program offered a concentration in health systems management. Also, I found this college to be very diverse. These factors all worked together to help me make my decision." "My greatest experience has been learning from other students and talking to them about my home country of Bhutan." "Because Point Park's MBA program encourages hands-on experience outside of a classroom setting, I had the opportunity to work with various sports and entertainment leaders who exposed me to real business situations." "My MBA has also increased my marketability across the sports industry; I strongly feel that an advanced education makes a person stand out from a crowd of candidates in today's competitive workforce. Education frequently comes up in my business conversations; being able to say I have an MBA has enhanced my credibility and has definitely garnered respect from corporate clients that I speak to on a daily basis." 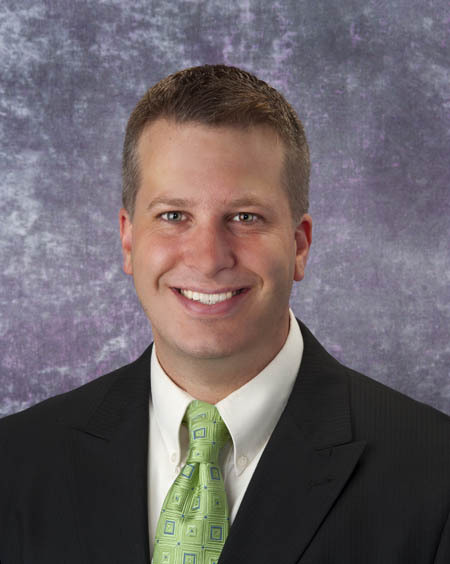 "Many of my colleagues at UPMC already have their MBA degrees so I knew it was something I needed to bring me 'to the table.' 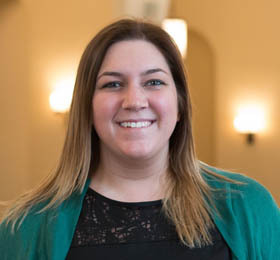 I chose the health systems management concentration because my job at UPMC focuses on making important decisions in the area of healthcare cost management." 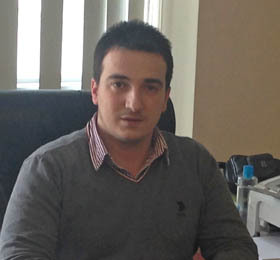 "An MBA degree lends itself to what I want to do in the future, which is to be a consultant. It also adds credibility to my work experience and serves as a good conversation starter. Having those three little letters at the end of your name is worth every penny." "My MBA degree equipped me with the necessary technical and soft skills to achieve my professional goals. It has helped me to assess business and personal matters from a different perspective focusing on solving complex problems and challenging problems in innovative ways." "I have assumed leadership responsibilities in my position, applying experiences gained through challenging group projects, particularly those in Dr. Kraniou's classes. These projects pushed me to not only focus on the end result, but also encouraged me to examine the capabilities and overall dynamics of my team and to find ways to work more effectively." "Since earning my MBA, I now understand engineering in a completely different light." "At Philips Respironics, I work on different engineering research projects in order to improve and develop new technologies that will help patients who suffer from sleep apnea/sleep disorder breathing. My MBA classes have helped me understand management decisions that are made in regard to certain projects as well as the roles of marketing and advertising." Seung Chan Lim a.k.a. "Slim"
"Studying business gave me a much better understanding of what constraints business organizations are trying to manage, and, in turn, how people who manage businesses think, feel, and act. This is important to learn if you wish to navigate a society governed by capitalist philosophy." "More specifically, as someone who conducts research and writes, I have to acknowledge that I'm always working on limited knowledge so it is imperative that I try to empathize with people from as many different disciplines as possible to get a more holistic understanding." "I thoroughly enjoyed the program's curriculum, but overall I gained a great deal of respect for professors like Dr. Kraniou who demanded the most one could give as he gave equally as much." "At Point Park I was pushed to go above what I thought I could produce which plays a large role in the capabilities I have today. 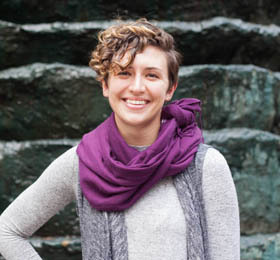 From a totally different angle, my favorite experiences at Point Park were made while studying beside the fountain at PPG Place and/or in local coffee shops - drinking coffee, enjoying the outdoors, and learning new ideas were some of my favorite times." 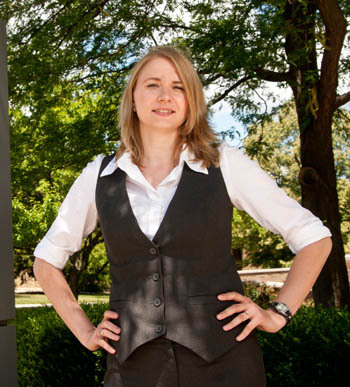 "The MBA degree program directly influenced my research interests and the area I am pursuing for my doctorate degree. What I learned in my MBA courses, especially those taught by Dr. Kraniou, Dr. Maharaja, and Dr. Sidky, pushed me in the direction I want to take my career." "Because it's a smaller program, Point Park's MBA instructors can truly get to know their students. Also, being that Point Park is in the heart of the city, it makes for a vibrant, urban campus." "Business is an important aspect of medicine and often something that is missing from medical education. I wanted to become acquainted with business administration before entering medical school and earn my MBA degree beforehand so I wouldn't have to stay in medical school another year." "Before earning my MBA, I didn't have a background in business. However, I didn't have any difficulties in the program because the professors explained the concepts so well and were always there to help." 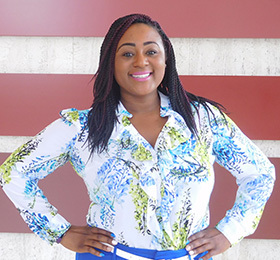 Consumer Product Marketing Manager, The PNC Financial Services Group, Inc.
"I wanted to advance my career to the next level but also required flexibility. Point Park's MBA program offered a flexible schedule of classes that really appealed to me as a working adult. Also, I didn't want to go into a huge amount of debt so I liked that Point Park was affordable." "Obtaining my MBA degree has not only helped me earn job promotions, but has enabled me to see the bigger picture when it comes to accounting and return on investments. Also, my international business classes taught me that even if your product is local, having an understanding of international business practices is crucial in today's work environment." "I liked the project management focus of Point Park's MBA program and the emphasis on strengthening communication skills. Project management is a large portion of my job as a director of volunteer programs." "Also, my MBA degree helped me to effectively put together proposals like the one I did for Beverly's Birthdays. In addition, my MBA classes have helped me gain skills in managing a budget and have kept my math skills current." "I liked Point Park's Downtown Pittsburgh location, the layout of the campus and the fast-track Saturday option that both degree programs (IT and MBA) offered. The camaraderie I had with my classmates was very enjoyable. I was always excited to go to class every Saturday. As a non-traditional student, I never felt out of place and that was important to me." 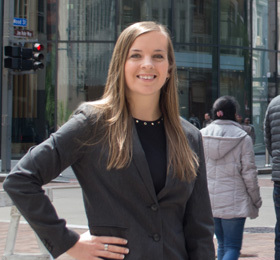 "I chose Point Park University for my MBA because of its Downtown Pittsburgh location and the experienced faculty within the sport, arts, and entertainment management program. It was important to me that the instructors had a working knowledge of the field." "While he was teaching a class on sports management, our instructor Steve Tanzilli was also in the process of planning the Pittsburgh Triathlon. Not only did I learn about planning a large-scale sporting event, but also was able to participate in the process. The entire class had the opportunity to assist in the areas of marketing and logistics as well as volunteer the day of the event." 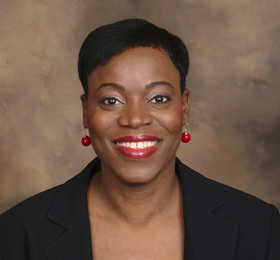 "My MBA degree added to my journalism and communications background by helping me to think more on a business level. I really enjoyed the theory classes, case studies and collaborating on group projects." "When faced with a business issue, I often remember the discussions I had with my MBA classmates and think back to the different case studies we perused. My classmates came from varied professions and had a wide range of experiences that helped me to broaden how I looked at the business world. Overall, my experience at Point Park was very gratifying." "In my MBA classes, we developed strategies for marketing brands, events and products. We also learned about business models, structures and financing for sports, arts and entertainment organizations. I incorporate the skills I've learned in these classes at the museum in planning promotion for exhibitions and events and when I work on strategies for social media, newsletters and other communications." "The classes also helped me to understand the inner workings of the museum and how important good communication is for fundraising and campaigns." 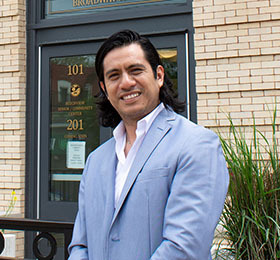 Bullano chose Point Park for graduate school because of its urban environment, well-connected alumni and the University's links to various career opportunities in the sports field. 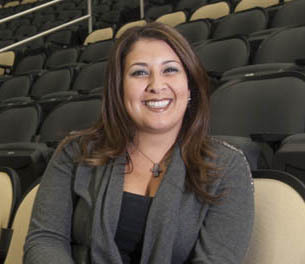 "My MBA education has allowed me to better understand the operations of different departments within the Penguins such as marketing, corporate sales and customer service." 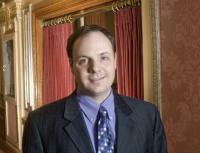 "Point Park's MBA program offered the right timing, the right price and the right reputation. 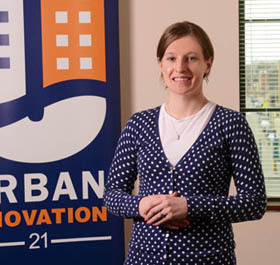 I also loved the urban environment and how Point Park was investing in Downtown Pittsburgh." "In Dr. Sidky's class, I learned that if an organization cannot adapt to change, it will not succeed. I've been able to apply that philosophy to my current work. Dr. Molinari's approach to teaching adult students was also great. She always applied real life situations to her lessons." 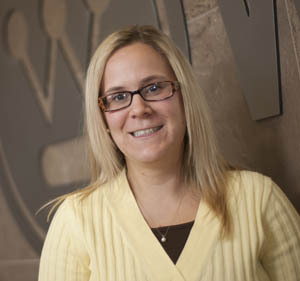 "My MBA education has been so valuable to me. It has taken my passion and advocacy work to the next level by enhancing my skills in economics, accounting, budgeting and strategic planning." "The professors have actual work experience in the field -- theater, sports, arts and entertainment management. They are known leaders in the community and are at the forefront of what's happening. As a professional, I wanted to learn from them. Experiencing the business for yourself and having a professor as your guide to see what it's really like in the workforce was a great attribute."